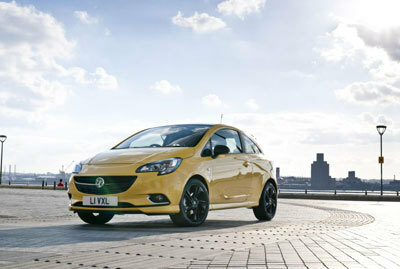 The Vauxhall Corsa is now available with the latest generation IntelliLink infotainment system as standard (excluding Sting and Sting R models), which only made its debut in the new Astra a few weeks ago. R4.0 IntelliLink easily integrates smartphone functions via Android Auto and Apple CarPlay, and is compatible with devices from Android 5.0 Lollipop and Apple iOS 7.1 (from iPhone 5). Vauxhall OnStar, standard on SE, Limited, Black Edition, Red Edition and VXR Corsa models provides occupants with a stable and powerful internet connection. The personal connectivity, service assistant and integrated 4G/LTE architecture turn the Corsa into a Wi-Fi Hotspot, while numerous additional services make driving more relaxed. The R4.0 IntelliLink system offers drivers a USB and Bluetooth interface for audio streaming and viewing photographs, videos and films, as well as the ability to complete a phone call via the hands-free module. All accessible through the seven-inch colour touchscreen, Vauxhall’s latest generation infotainment system is also compatible with Apple CarPlay and Android Auto. Bringing the smartphone applications of each occupant into the car, the Vauxhall infotainment technology immediately recognises when an iPhone or Android smartphone is connected to the R4.0 IntelliLink via USB. As soon as the connection is made, the smartphone interface is adapted to the seven-inch touchscreen and displayed clearly, while simultaneously charging the device. Each interface automatically populates the display in a smart and simple way with the applications and features that drivers rely on the most. Apple CarPlay allows drivers to make calls, send and receive messages and listen to music right from the touchscreen or by voice via Siri. Alternatively, Android Auto is built around Google Maps, Google Now and the ability to talk to Google, as well as a growing audio and messaging app ecosystem. Full lists of supported apps are available at apple.com/ios/carplay and android.com/auto respectively. A key advantage of using the navigation apps is that the driver always has the latest map data at their disposal as updates are made available by the respective provider and downloaded onto the phone. Furthermore, smartphone-based systems display traffic conditions in real time along with possible points of interest – including the complete address, opening hours and distance. Another advantage of the system is that when a text message from services such as WhatsApp or Skype is received it pops up on the IntelliLink screen (without the text) and is read aloud. Vauxhall also offers an additional navigation option in the portable TomTom GO 40 system. The 4.3-inch colour touchscreen can be safely attached to the dashboard via the FlexDock® holding device. The TomTom system comes with maps of 45 European countries, 3D display and selected points of interest. Furthermore, the traffic situation is displayed in real time if a smartphone is connected. OnStar is available as standard on SE, Limited and VXR Corsa models. The integrated 4G/LTE architecture turns the Corsa into a powerful mobile Wi-Fi Hotspot thanks to a special external antenna that maximises connectivity and delivers a stable internet connection for up to seven devices. The extensive services are the heart and soul of the personal connectivity and service assistant. They range from around the clock Automatic Crash Response to Stolen Vehicle and Roadside Assistance, right up to Vehicle Diagnostics. All of these services are available at the push of a button through the system’s integrated SIM card, meaning a smartphone is not required. Elsewhere, a smartphone is needed for the MyVauxhall smartphone app, enabling OnStar subscribers to request help when away from the vehicle, to lock or unlock the car doors or to access important vehicle data. OnStar services and Wi-Fi are free for the first year. A second year of OnStar services, including roadside assistance, but excluding Wi-Fi is available for just £79.